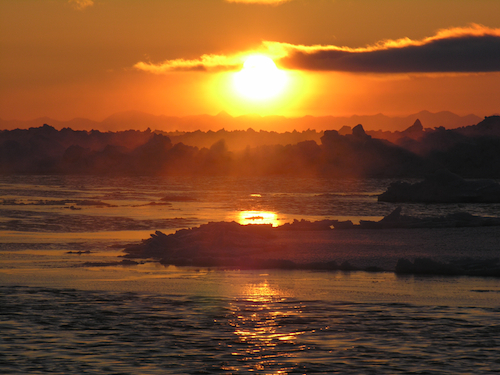 Interactions within the ocean, sea ice and atmosphere are crucial to the climate system. Our models of the future climate depend on their proper representation. The ocean, sea ice and atmosphere are the major components of the marine physical climate system. The processes within each medium, and those associated with the interaction between them, are crucial to the climate system. The predictive skill of the complex computer models that simulate the future climate depends critically on how they represent the key processes. The research conducted in our research group is based on observations, theoretical knowledge and modelling. The term “process” here means any fundamental chain of events involving basic components of the climate system, ranging from, e.g. small-scale turbulence to large-scale conceptual models. The group’s interaction with the centre's other research groups is as important as our individual objectives. This interaction is a prerequisite for the group’s contribution to the syntheses required for understanding and describing climate and its variability.